This traditional verse is retold with wit, filled with charm and illustrated with tremendous style by an exciting debut artist. Follow the funny exploits of the utterly lovable pup as he does his best to get his paws on the pie! 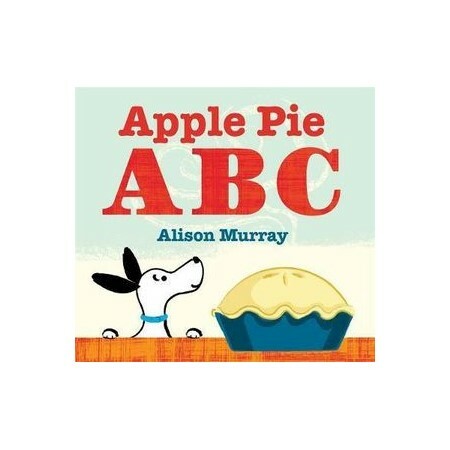 Apple Pie ABC is bound to be loved by young children and adults alike who will undoubtedly savour the story again and again. Alison Murray grew up in Lanarkshire near Glasgow and studied Textile Design at Glasgow School of Art. After graduating she moved to London and worked in a variety of jobs including bookseller and rug designer before completing a MA in Design for Interactive Media at Middlesex University. She then co-founded, created and built a successful Interactive Media company and then sold it and moved back to Scotland. Alison has now found a new niche, writing and illustrating children's picture books. She lives in Glasgow with her husband, little girl and dog.